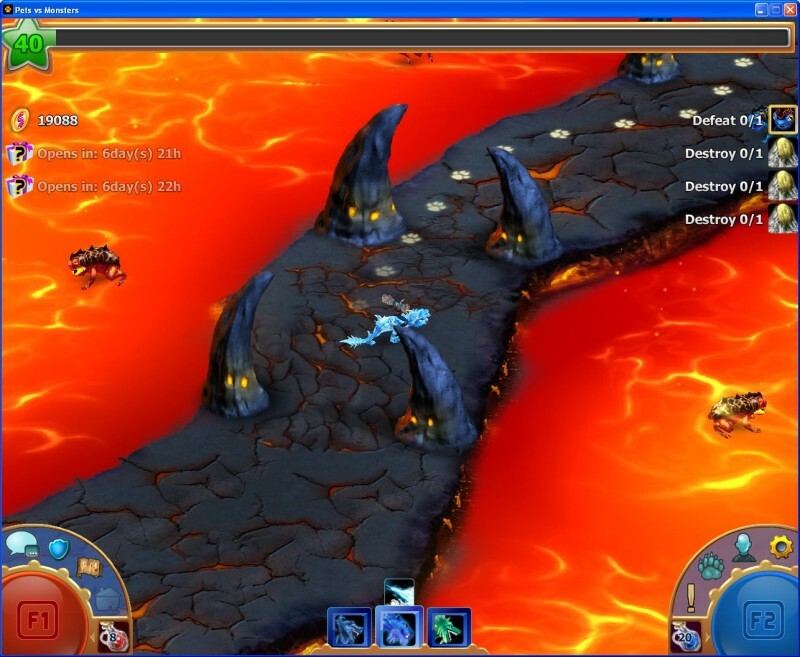 Pets vs Monsters is a free-to-play online game currently in beta. 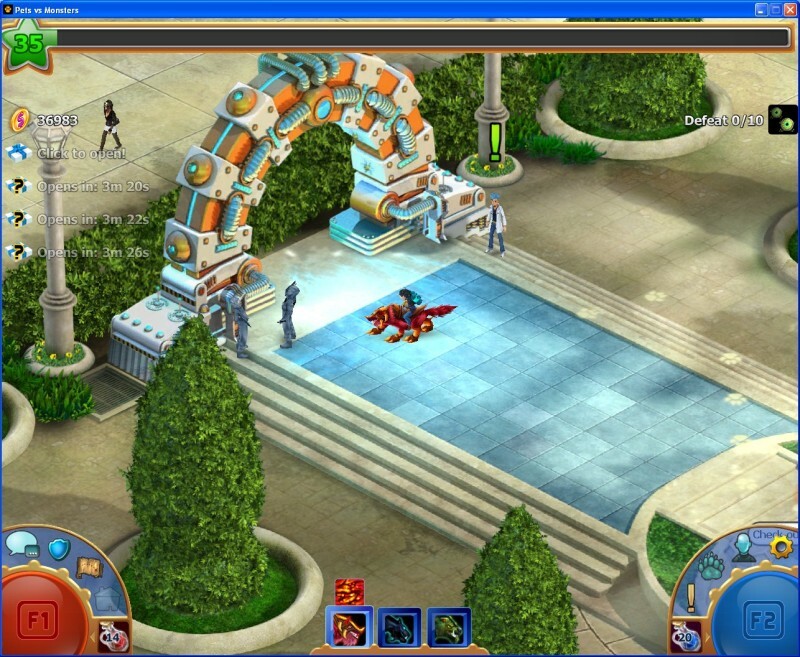 You use pets to battle a monster invasion. You can play together online with your friends, collect great loot to customize your character, and explore dangerous and mysterious worlds! The developers are a company called Sweet Robot which in turn are a subsidary of FunCom (best known for the their MMORPG's, Age of Conan and Anarchy Online). Trailer and more screenshots found here. load: class com.funcom.util.PVMApplet not found. Me and my son played it until lvl 30 or so but after level 15 it get super repetitive. The only nice part about the game is the effects on the different animals, but to get different effects you need to pay for it. 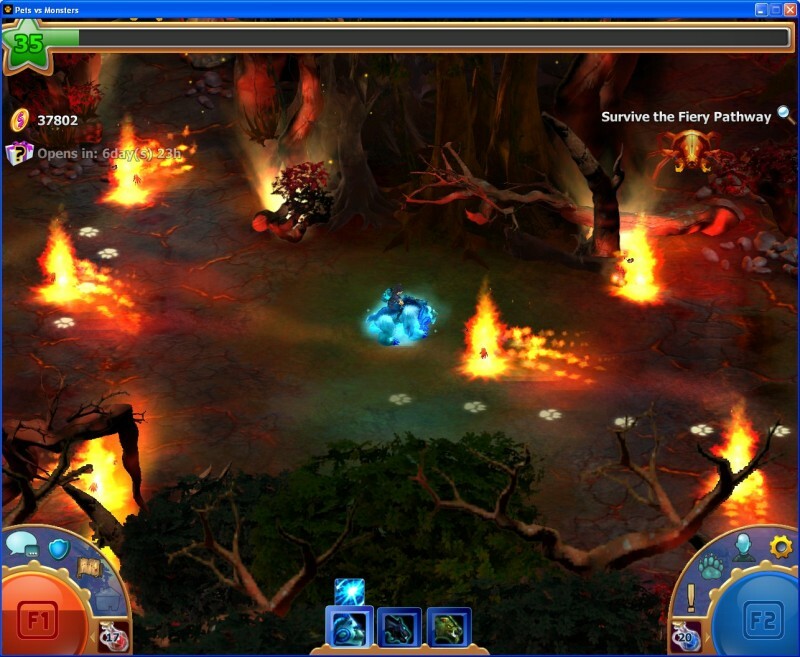 Also, chatting is extremely limited (Think the out of the box multiplayer games of windows, like online hearts/spades). All in all, nice for kids under 12 or so but after that it lacks very much. Unfortunately I'm not able to play it right now, but I must say that the screenshots look great! Kappa, do you know whether they are using LWJGL or just drawing the applet with Java 2D? I think the game would do better to get players into the game faster. I can't say much about gameplay since I couldn't get far.